What is a Peace Building Club? A Rotary Peace-builder Club is a Rotary Club that has a Peace-building committee, is actively involved in projects that promote peace and conflict resolution, involves youth in peace projects and provides financial assistance to the Rotary Peace Centers that train Rotary Peace Fellows and Rotary Peace Scholars. 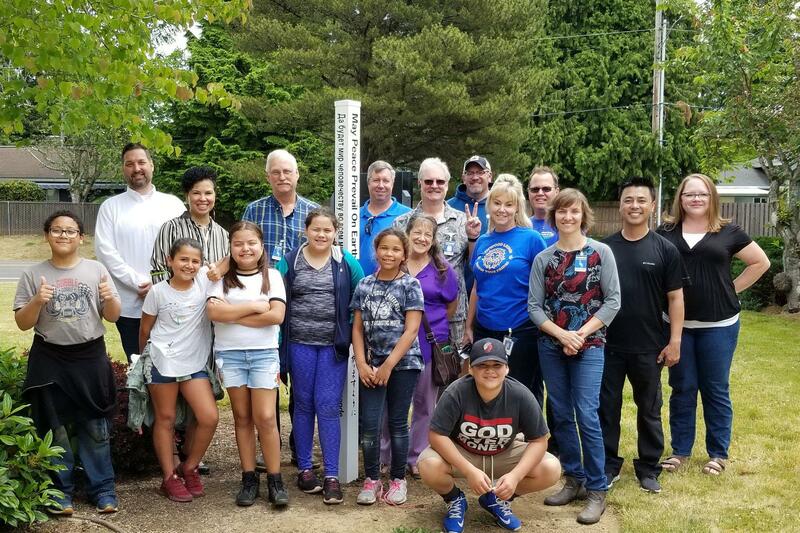 The Rotary Club of Milwaukie, Oregon has a Peace-building committee, is actively involved in peace projects and provides financial assistance to the Rotary Peace Centers. We are working in conjunction with the Youth Services committee of our Club to bring students into peace projects. 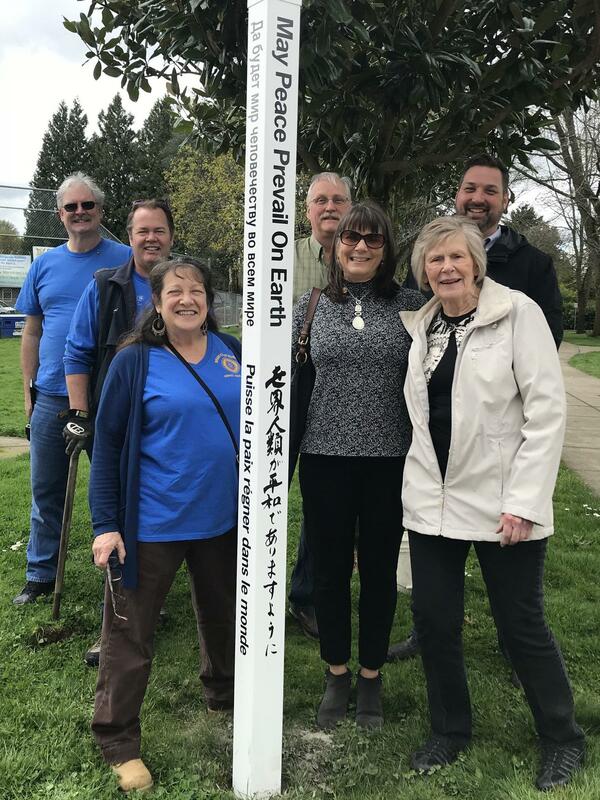 We have planted Peace Poles at nearly all our area's elementary schools, Milwaukie High School and the Portland Waldorf School, as well as rededicating some of the Peace Poles, annually, actively involving the students and faculty. Along with the Rotary having peace as an area of focus, all the other 5 of Rotary’s areas of focus; preventing disease, clean water and sanitation, enhancing the health of women and children, improving basic education and literacy, and community development, all funnel into promoting peace. What is the "Peace Pole" Project? The Peace Pole Project began in the mid-1950s by Mr. Mashisa Goi, of Japan, whose family was greatly affected by WWII. Mr. Goi dedicated his life to spreading the idea “may peace prevail on Earth.” There have been over 200,000 Peace Poles planted, worldwide, and there are Peace Poles planted in nearly every nation on Earth. District 5100 is the most active Rotary district in the world. Are you interested in hosting a "Peace Pole" or want to find out more about our efforts to promote "Peace"? Please contact our Peace Committee Chair below! "May Peace Prevail on Earth!"